How many times have you heard people say phrases like 'going bananas' or 'at loggerheads' and scratched your head wondering what these phrases mean? These phrases are called idioms. Idioms are a collection of words that do not adhere to their dictionary meaning, rather these words, collectively, imply a different thing. For example, take the idiom 'at loggerheads', the dictionary meaning of loggerhead is a type of carnivorous sea turtle. However, loggerheads in this phrase do not refer to the turtles. Rather, at loggerheads means to be in a conflict. 'Both the team members are at loggerheads, it's a wonder how any work gets done!' – This sentence uses the idiom perfectly! So, that is how an idiom works. It helps you convey your message without having to say it explicitly. In our last two blogs on idioms , we gave you a few idioms, along with their meanings, for practice. We hope that you are, by now, quite fluent with the ones we had provided. It will not be a wonder if you are keen on learning more idioms, after all, that is the charm of idioms – they are addictive! Idioms lend a sense of affluence and in-depth learning of the language to a person's spoken English. The good news for you is that the English language is blessed with a number of vibrant idioms that are fun to learn and great to use. So get your pen and paper out and start learning! 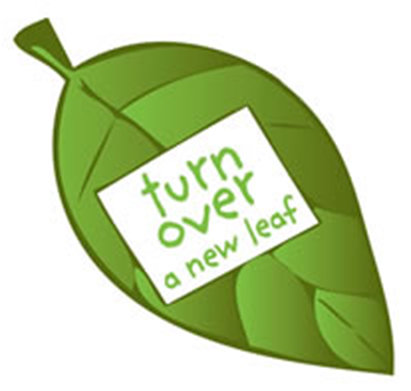 • Turn over a new leaf: No, you do not have to actually go a pluck a leaf every time someone says, 'turn over a new leaf'. This idiom means to make a fresh start. This is a perfect idiom to boost some positivity in a person who has suffered a loss. Eg. "After suffering bankruptcy in his business, Suresh decided to turn a new leaf; albeit after taking into account all sorts of risks." Turn over a new leaf means to make a new beginning or give up the old ways. • Face the music: Doesn't this idiom make you feel nice? After all, who doesn't like music? However, when someone says that you are bound to face the music, it means that you are going to be in some trouble – that definitely is not a cheering thought. Face the music implies that a person will have to face the consequences of their action. Eg. "I broke my sister's favorite watch, which she has lent me. Now I will have to face the music when I go back home." Many people approach us with the same issue, "How to improve my English speaking skills?" While we do give them some easy pointers and tips that can help them, many people require more personal attention and teaching. For such people, the best option is to join an online English class like eAgeTutor. With proper guidance and personalized approach, a student can learn fluent English and enroll in spoken English courses that will help him/her achieve his/her goal.